Yesterday we brought the happy news that Atlus has applied discounts to various titles on the 3DS eShop in North America, and not to be left out Ubisoft has now joined in. Six retail downloads have a 30% discount from 20th - 27th August, and the offer appears to be covering both North America and Europe. Below are the games and their prices in US Dollars and UK Pound Sterling — if we get the Euro prices, we'll update accordingly. In various cases these titles can probably by found online or in retailers for similar or lower prices, though downloads could be a convenient option. Do you plan to pick any of these up while they're available for less? Ugh so many discounts lately, but I already have too much to play! But I do hear the Tom Clancy games are worth a go. @readyletsgo I know, but don't want to guess the EU prices. Ghost Recon and Rayman Origins are great games, but the rest aren't anything amazing. I wish they would've discounted these games more, though, since the majority can be found for much less than $21 in the bargain bin at pretty much any retailer. Not much of a discount, you can find these games much cheaper. Get Ghost Recon. Do it now. The games may be cheaper elsewhere but its good to see Nintendo having sales. How many Wiiware games have gone on sale over the past 6 years? Everyone, do yourself a favor and get Ghost Recon: Shadow Wars. Great game! @rjejr No, no! You're doing it wrong! You have to complain constantly about everything and find even the tiniest things to nitpick about! I still don't get it why some of the games have not been released in Europe. And yet you can go to an actual game store and pay half of that for a physical copy. Just buy Ghost Recon. You won't regret it. 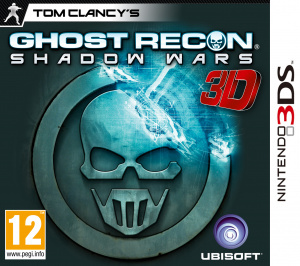 Ghost Recon Shadow Wars was €9,99 at some point if I'm not mistaken. Of course they discount them...after I already picked the ones I wanted up at full price! I really want Ghost Recon to do the save transfer with but if it was 19.99 then 30% off then I would be more inclinded to do so! @rjejr They should be having the Clearance of all clearances on wiiWare right now. I'll go with @LJM. Plus I don't really care for any of those games anyway. I've always wanted Ghost Recon. @suburban_sensei especially considering that you can get it at amazon right now for $10 and then re-sell it later. @Retro_on_theGo You've recently seen new copies of EOIV for less than $29.99? Would you mind telling me where? I think Amazon had some discounts like that a couple of months ago, but the price seems to have risen again in the meantime. But have the freezing bugs in Shadow Wars been fixed? Ghost Recon is a great game. Anyone who likes turn based strategy should get it. The graphics are certainly not mind blowing but they do get the job done nicely. @kondabasu Yeah, the last time I remember seeing EOlV for $19.99 was on Amazon. I wasn't aware the price has gone up since then. That's a shame. Uhm, those ARE the current prices for those titles on the eShop in the UK and they've been like that since they were released. Where's this discount? @Chris720 This. I know for sure Splinter Cell and Ghost Recon have been £18 since they hit the eShop. 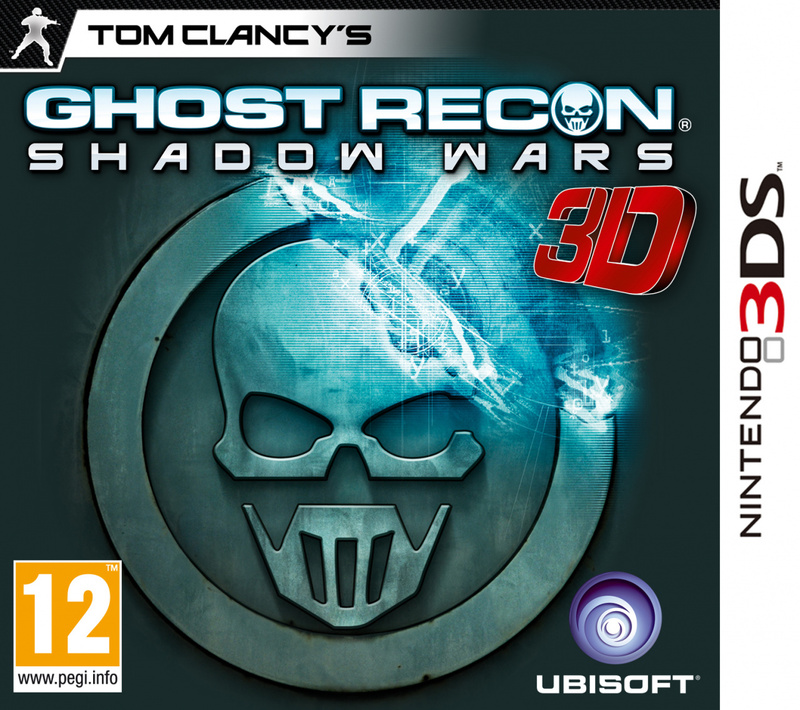 Ghost Recon is the best 3DS game. To anyone that likes Fire Emblem type games, I'd HIGHLY recommend Shadow Wars. Also, I think Splinter Cell 3D gets an unfair rap from most sites. Personally, I didn't have problems with the controls, and being mostly a single player, the lack of multi-player didn't bother me. @Mahe I've never had any freezing issues with Ghost Recon, but I have had an issue rarely where one of my units (seems it's always the medic) gets stuck and can't be moved. It usually happens on the first mission of the last chapter: "Outside Looking in." If your medic gets stuck, you can try to finish the mission quickly enough, but it may be hard. @C-Olimar Precisely my point. So where's our, according to this article, discount? @Chris720 It might be applied on Thursday in Europe. I'd consider Rayman at £12 if I had the money, but I can get the boxed version for 10. Plus, if I ever get Legends, that includes many of the levels from Origins. Man, I wish there was a Shadow Wars sequel already. I got Ghost Recon for 5 euros but it's definitely worth more. One of the best 3DS games. Those prices are pretty shocking. I picked up Shadow Wars last year for £9! Anyone heard that the second Petit Computer is on the eShop? @Windy - They are keeping prices high so the $1.50 you have to pay to play them on the Wii U w/ the Gamepad looks like a bargain. I almost paid $1.50 for Super Mario World yesterday before I realized what I was doing. Though if they put something on sale on Wiiware for 200 I'll buy it.